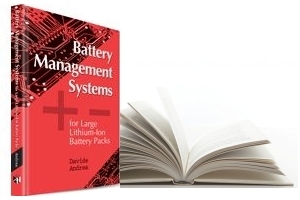 Elithion's involvement with large Li-ion batteries, and battery management systems goes beyond just product sales. 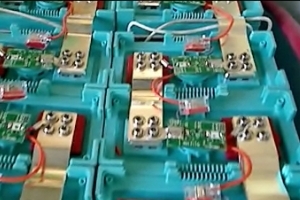 We understand that electronics design and development must respond to a variety of field applications: different battery configurations, different vehicles, different outcomes. We have worked closely with our clients providing solutions for optimizing their unique systems. Behind every Elithion product is an unparalleled resource of know-how that translates into world class engineering and support for the end user. Elithion is the resource for other Li-Ion BMS companies when looking for help and guidance: we wrote the book on Li-Ion BMS. Elithion BMSs are used in essentially every type of application that uses large Li-Ion packs; Elithion has contributed to those BMS installations and it draws from that experience to enable your company to successfully integrate a Li-Ion pack in your product. Versatile BMS products. Elithion offers a range of BMS products, and is therefore able to offer you the right BMS that matches the technical and pricing requirements of your application. Fast turnaround custom traction packs. Thanks to its experience with a variety of traction packs and access to quality cells and other components, Elithion helps you optimize your specification for a traction pack, and then is able to turn around a first article in record time, at a price that is remarcably low for a custom product. Short development time. The versatility and configurability of the Elithion BMS allows you to match it to your applications in a matter of hours, not months, resulting in significant savings. Great factory support. Elithion's experts will partner with you from the initial design phase (offering you components matching your requirements), through your product integration phase (including any customization), and finally through production. Low cost. Even in small production quantities, Elithion's products provide a cost effective BMS solution due to their effective yet perfectly concise design.